1. 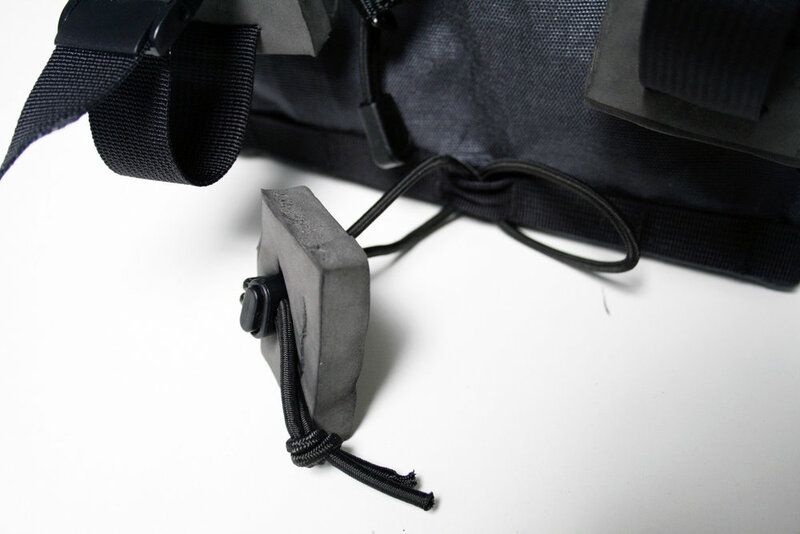 Remove the handlebar strap from your bag and slide three foam spacers onto it. 2. 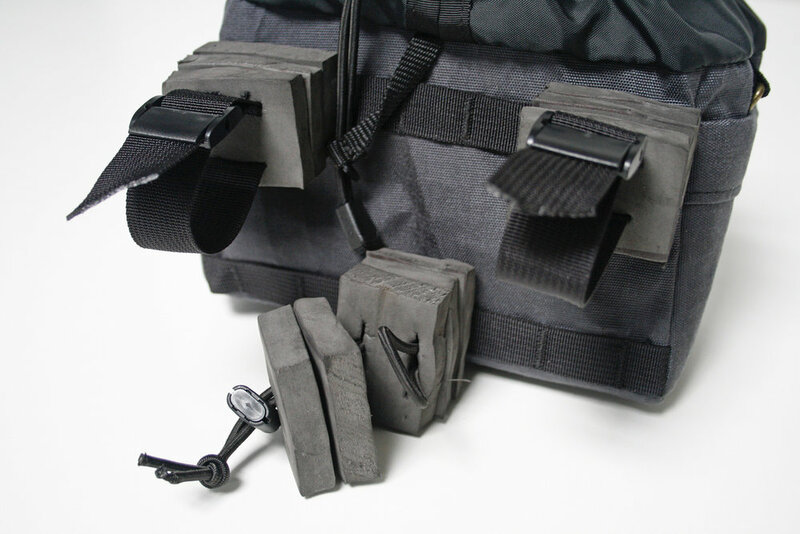 Install the strap back onto the bag and double back through the lower slots of the foam spacers. 3. 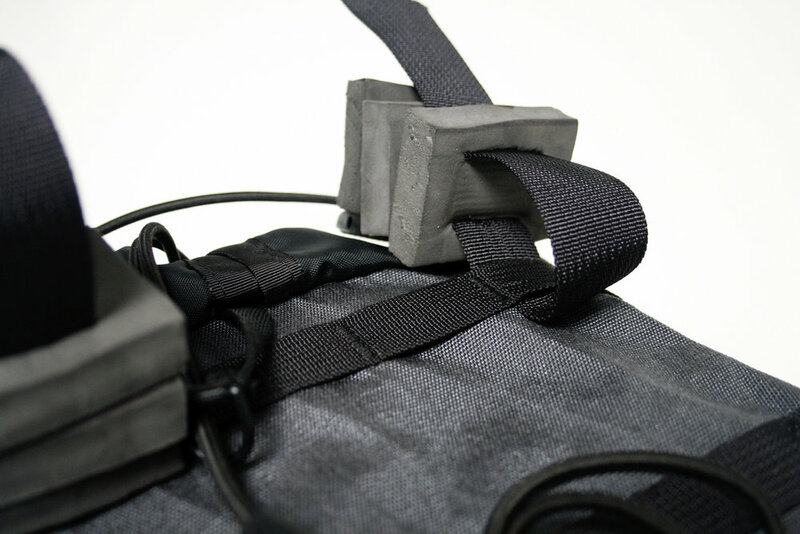 Foam spacers also work with the lower attachment point. Push the knot, then the cord lock through, one at a time. Five foam spacers is usually good. 4. 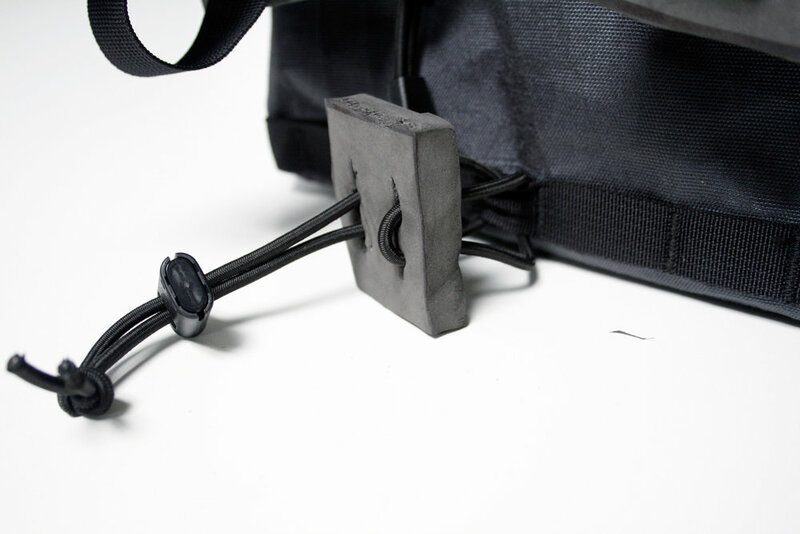 Push the cord loop through the other side of the spacer. 5. 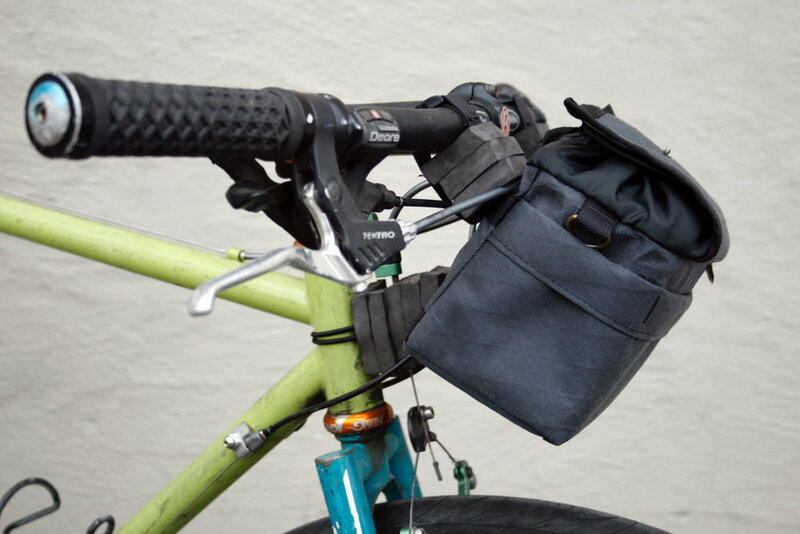 Install the handlebar bag as you normally would. 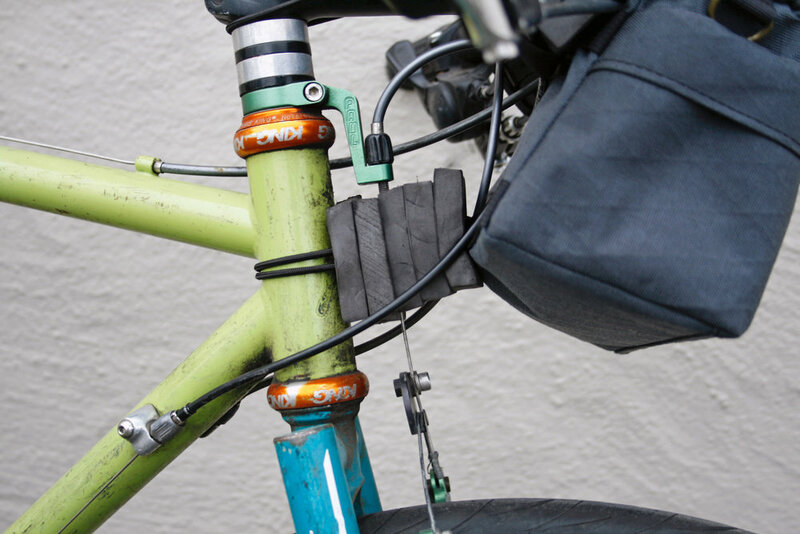 If you'd like to run a cable through them, leave the cord loop out of two spacers so you can slip them behind your brake.